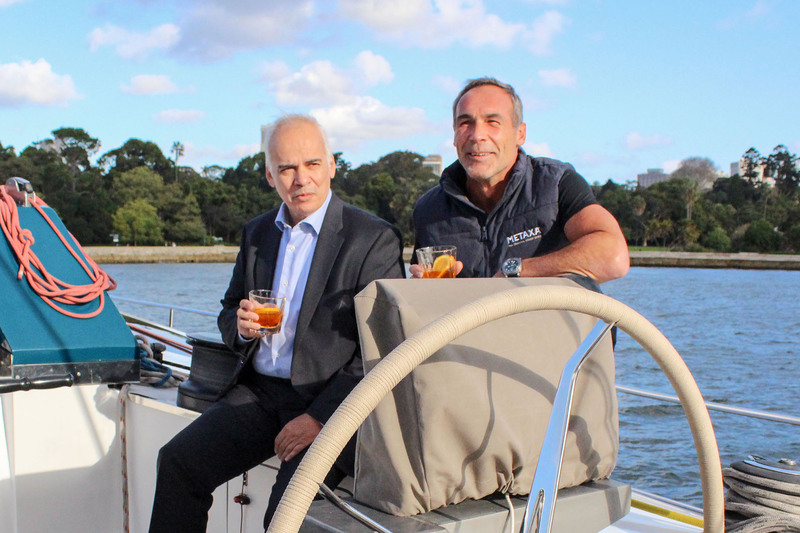 Metaxa 12 Stars recently launched in Australia and we were fortunate to have Mike Horn, renowned explorer & adventurer, and Costantinos Raptis, METAXA Master Distiller come together for the Australian launch. Each equally passionate about what they do, they found a common ground – their love for METAXA . Mike, how did the partnership with METAXA come about? I was told by my daughter that someone was trying to contact me on social media holding up a sign “please, please contact us” and it turned out that they wanted me to taste METAXA . A few days later a parcel arrived, I was quite excited, it was like Christmas and there was selection of METAXA from the 5Stars to the 12stars. I started tasting it with my daughter, and added a bit of ice in a glass as suggested. Straight away I really liked it, it wasn’t a cognac or brandy that I was used to, it was quite unique. From that moment, I wanted to be involved with METAXA . It was based 100% on taste. How would you describe the taste of METAXA 12 Stars? The taste is something you must explore a little bit, hence the campaign of “Don’t drink it. Explore it”. If you look at the colour, it gives an idea of quality, its amber, it looks beautiful to look at. Once you start sensing it, get the aroma, the Muscat flavour comes out quite strongly, and like Costas just explained to me about how he makes this drink, it’s quite unique and you can taste where it comes from. To be able to have that identity and authenticity to an alcohol is very important today. It’s just an extension of where it comes from, and by taking a bottle of METAXA anywhere around the world you can taste Greece. It’s not comparable with anything else, so it’s not worth mentioning any other alcohol, because rum is rum, cognac is cognac, brandy is brandy but METAXA is METAXA and it lives by its own. Costas, how did you become the METAXA Master? I studied Chemistry in the University of Athens and Oenology (the art of winemaking). At the age of 26 years of age I joined the METAXA company. After 5 years I become the METAXA Master, so I have been with METAXA for 32 years. How has METAXA evolved in the last 32 years? My first creation as Metaxa Master was METAXA Private Reserve, the most premium METAXA at that time released from a single cask with a limited number of decanters. 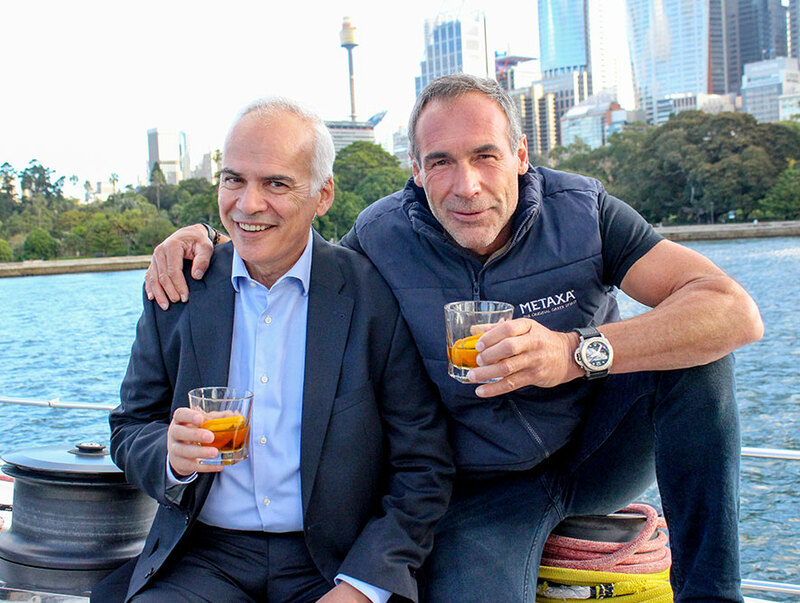 Since then, METAXA has continued this effort for premiumization with the launch of several new styles and especially METAXA 12 Stars in 2011, and relaunched in 2016 with the great explorer Mike Horn. How did you create METAXA 12 Stars? My effort was to combine different styles by using the same liquids. The METAXA 12 Stars is closer to mature rums. You experiment with blending, the barrels and we can get a unique product. How would you describe the difference between METAXA 12 Stars to 5 and 7 stars? METAXA 12 Stars is more aromatic and has more mature notes like dark chocolate and sweet spices. That’s because we have used heavy toasted barrels for the distillate ageing of METAXA 12 Stars and a very nice selection of Muscat grapes from a higher altitude of the mountains in Samos island, so this combination, plus further ageing, gives this unique result. How do you like to enjoy METAXA when you are relaxing at home? I like to enjoy neat or with one or two ice, or I add a piece of orange. Sometimes during Summer, I make long drinks and cocktails using 12 Stars. For example, I like to add Ginger Ale with 12 stars. Mike, are there any other explorers you look up to and how has exploration evolved? Today exploration has changed since the days of Shackleton and the Sir Edmond Hillary. We are doing stuff they could not have done. Now we are trying to push the limits much further, we can go faster, and do things quicker. Not only in the mountains, jungles or on the ice cap, everything we have in technology makes an explorer’s life easier but it makes it more dangerous. Because speed is closely connected to mistakes. The faster you go, the more mistakes you could make. We tend to go out solo where before explorers need big teams, they had 30-40 people the expedition. Today we tend to think exploration should be done more solo or in a very small group, unsupported or unassisted. So, exploration has turned into a science, so Costas passion to produce a premium alcohol has the same science and passion as I have in exploration. Like METAXA exploration is a travel through time, places and pushing the limits of what you could have done. What is the most pressing environmental issue today? Not enough priority is given to the environment. We need to look at the mother that feeds us, that keeps us alive. You find with farmers, the guys who use the land, understand the land; the guys like me who explore the land, are in close contact with the earth. If you make wine or creating METAXA are closer to the earth. The environment has changed. What’s alarming is that we have more plastic in the oceans than fish. Crossing the Antarctica and seeing that there’s an ice shelf breaking off is alarming. The poles are like the doors and windows of the world, they allow cooler air to come and cool down the planet we live on. The north pole is melting, the south pole with the ice shelves breaking off is changing. We are going to have irreversible changes sooner than we think, not tomorrow, not in our lifetime but sooner than we think. The planet can exist without us, but we can’t exist without the planet. So, our priority today is to take care of the natural resources of the planet. 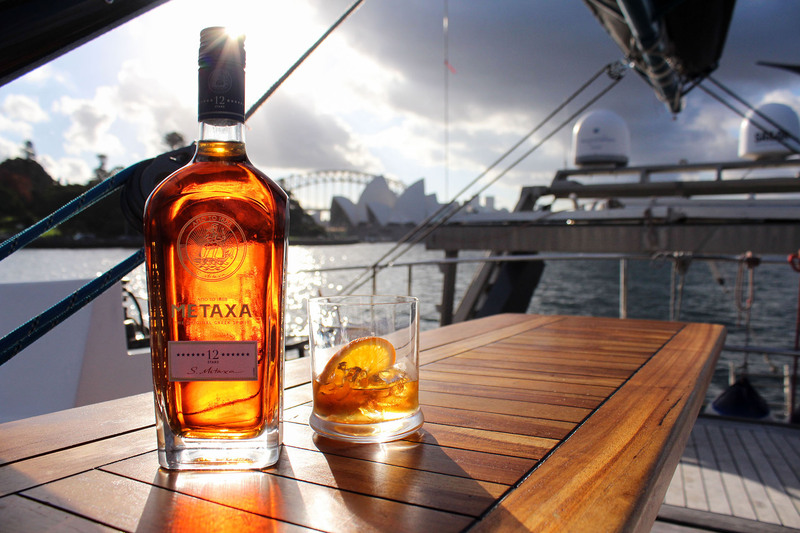 For more information on METAXA 12 Stars click here.